Over $300,000 in scholarships has been awarded in the last 10 years alone. Jana Freeman enjoys the challenge of reintroducing native plants into the landscape. Regional scholarships available in addition to Founation and Cullen Family programs. Various lots of plant material go up for bid at the annual industry auction. Landscape Ontario’s Growers Group will hold its annual buying event for garden centres, contractors and plant lovers at NVK Holdings, 1155 Hwy. 5, Dundas, Ont., on Sept. 13. 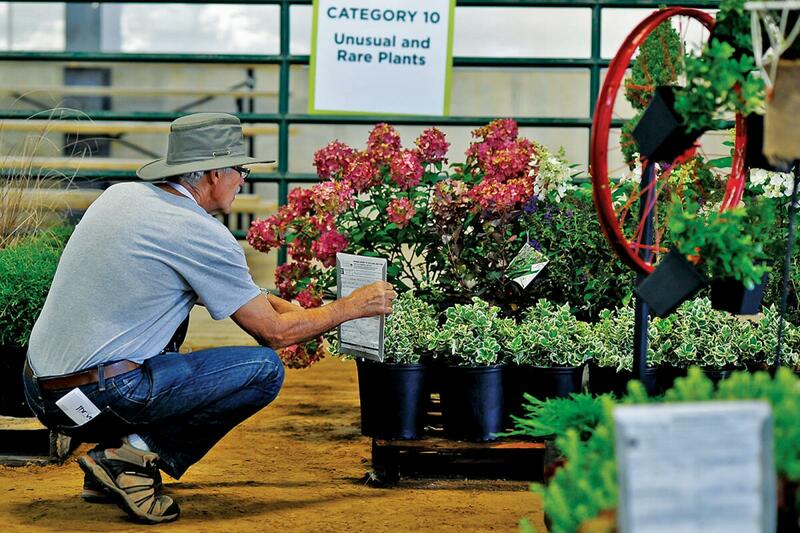 The full-day event features a live auction of nursery stock and live judging of entries in LO’s Growers Awards of Excellence Program. Money raised from the auction helps to fund industry research and scholarships. The schedule of events on auction day begins with the lot preview and farm tours from 10 to 11:45 a.m., followed by a free lunch and refreshments. The live auction will begin sharply at 1 p.m. and end around 3:30 p.m. Winning lots will be ready for pick up upon completion. The auction offers buyers some of the best nursery stock in Ontario — skids of trees, shrubs and perennials, as well as related products and individual silent auction items — all donated by retailers, suppliers, contractors and growers within the landscape community. Be ready to bid on plant materials of all colours, shapes and sizes, landscape supplies, and hard goods. There is no entry fee or RSVP required. Proceeds from the event help to fund industry research, scholarships and sector development and promotion through the Ontario Horticultural Trades Foundation. Over the past 10 years alone, the auction has raised just over $200,000 and the Foundation has awarded just shy of $900,000 to support research and scholarships. The event also offers grower members of Landscape Ontario the opportunity to showcase their best plant material by entering the LO Growers Awards of Excellence Program. Entries are judged and winners are announced on-site before being auctioned off at the event. Winners in the Growers Program will be presented with a plaque during a ceremony at the Garden Centre Symposium on Jan. 9, 2019 in conjunction with Congress. To donate items to the auction, enter the Awards of Excellence program, or for more information, please visit IndustryAuction.ca.